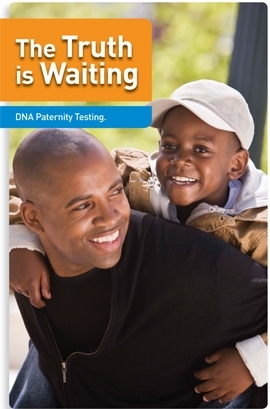 To determine the biological mother of your child, get the Chain of Custody DNA Maternity Test. This test gives you an accurate determination (with an average probability of maternity of 99.9%) of who the child’s biological mother is. 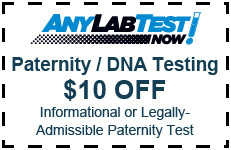 This test must be used when a person is attempting to seek or deny child support, child custody or visitation; seek medical, social security or military benefits; add or remove a Name from the child’s birth certificate and/or Voluntary Acknowledgement of Paternity; immigration; and adoption. The DNA profile of the child is compared with the DNA profile of the alleged mother and the results will tell how likely it is that the woman is the biological mother. In a maternity test the alleged mother and child need to be tested. It is helpful if the father is also available, because the DNA part of the father can be excluded and no additional analysis is necessary. Then the DNA of the potential mother is analyzed to determine the probability that her genetic markers are found in the child. This is known as a percentage of probability of maternity. Our professional medical assistant will rub a swab on the inside of both cheeks of the child and possible mother to collect the sample for determining the maternity of a single child. If more than one child is being tested or if there is more than one alleged mother, additional fees will be incurred. If you have a specimen with DNA on it, please ask the sales associate if we are able to do the test on your specimen and for additional pricing.